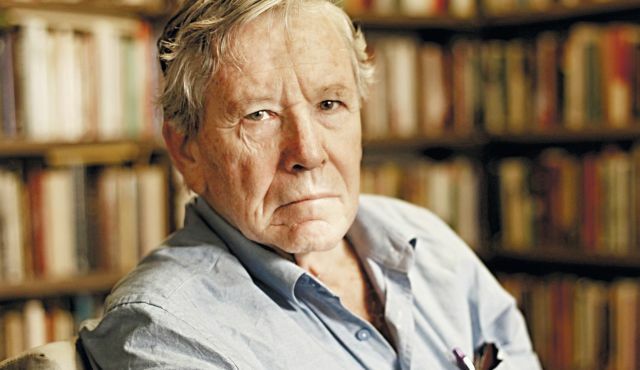 Haim Bresheeth looks at perceptions of the relationship between Israelis and Palestinians through looking at Zionist Hebrew literature, particularly the writings of left-Zionist writers such as Amos Oz, pointing out the deep roots of Zionist racism and neo-colonial attitudes towards Palestinians. IN THIS ARTICLE, I will try to evaluate some recent trends in Hebrew literature to establish the tendencies represented by a group of writers on the left flank. of Zionism when dealing both with Zionist identity and that of Palestine. This group has been chosen because of its high profùe abroad, and within Israel and because its writings seem to be a poignant instance of the present cultural and political crisis of Zionism. It would be easy to quote at length from rabid, right-wing and racist publications by Gush Emunim or similar organisations, or even from established rightwing writers such as Alterman or Shamir. Instead, I have chosen to quote only those writers belonging to left-Zionism1, the most progressive tendencies. It can safely be assumed that any racism and nationalism detected within this group will be even more evident within the Zionist mainstream. Since it is from this group that any shift in Zionist policy towards the Palestinians may emerge, it is extremely interesting to analyse the positions it represents. More will be said later about this choice. Literature in Israel plays a central political and ideological role similar to that played by the electronic media in Britain or western Europe. While a full analysis of this phenomenon is beyond the scope of this article, some suggestions are made in one ofthe following sections. Literature is used here as an important litmus-paper of current shifts in Zionist thinking, and any lessons which may be learned from this analysis are not medium-specific. This study attempts to relate the different aspects and current crisis of the identity construction within Zionism. The first chapter deals with the special role played by liteature within Zionism: the traditional positions taken by writers and, in the wider context of Zionist argumentation, the effect of regional and global political trends on Zionist writers, with particular reference to fascist developments in the 1930s. In the second chapter, the writer's self-image and its relationship to 'national' identity is examined. The third chapter examines the process of synthesizing a nation in Israel and the ideological material used in this construction. The last two chapters deal with the Palestinian image in recent Israeli writing and the identity crisis within Zionism. The concluding chapter attempts to connect these different strands together. This article will look at a small but influential selection of recent Hebrew literature to examine the social, political and moral attitudes which form its ideological basis. Texts have been chosen for their social and political significance and raison d'etre rather than artistic merits. Examples include a relatively new and marginal literary genre - that of a writer/political activist setting out not so much to interview as to have rambling conversations with people belonging to the communities locked in mortal struggle in Palestine. This 'touring troubador' genre was reintroduced by Amos Oz in 1982, in a book called 'Po Vasham Be'Eretz Israel'2. This book is part of a wider Israeli phenomenon of a society speaking to itself through literature and poetry. While this may be true, to an extent, of most societies, it reaches an advanced stage of development in particular historical circumstances. THE PARTICULAR INTENSITY with which Hebrew and Arabic literature and poetry have taken up the conflict as their central theme, brings to mind other recent periods of great social and political tension in which literature played a similar role. An obvious example is that of prerevolutionary Russia, the vast social landscape of which was painted with passionate detail by Tolstoy, Dostoyevsky, Chekhov and Gorky. Russian literature of the 19th century and since, is centrally placed as an influence on Hebrew literature. Many writers in pre-mandate Palestine came from Russia and wrote in Russian before writing in Hebrew. They had brought with them not only the rhythms of the motherland but a range of attitudes, subjects and themes specific to 19th century Russian literature. In that sense, Hebrew literature in Palestine was always of a polemic cast, a phenomenon not restricted to pre-revolutionary Russia but evident in many societies undergoing violent change, such as Weimar Germany or the USA during the Depression. Thus, while Oz may be the current reactivator of the genre, the tendency itself has a long history. Not only are novels, poems and plays used a platforms for political argumentation as part of the political arsenal that reaches a wide and crucial audience, but writers consistently participate in the interminable and constant public debate on the nature of the Zionist project. The ideological battle fought over the direction to be taken by Zionism has been dominated from the start by literary figures in an abundance not seen elsewhere. It would be impossible (and unnecessary) to give here a full account of the role played by literati in the history of Zionism. The obvious one to start with is Herzl, a journalist, mediocre playwright and novelist who attained fame through his books - Altneuland and Der Judenstaat - which describe, in different ways, the realisation of Zionist aspirations. The ideas expressed in those books were not new but had already been propounded a few years earlier, specifically in Leo Pinsker's book Auto-emancipation. Books discussing the options facing the Jews of Europe were not unusual; since Jewish communities spanned the globe, literature had been the paramount vehicle of dialogue within world Jewry. The debate fired by Herzl was joined by Jewish writers from various countries. Polemicists such as Achad Ha'am and Borochov and poets like Bialik joined the fray and the debate was brought to the public through newspapers, novels, pamphlets and poems. This was a formative period of the Zionist discourse, one in which politicians as such were missing, and was in effect a political debate held in the cultural arena. For a people that had survived longer than most and who cherished the Bible as a powerful combination of history, religion, culture, mores and a political programme for the future (not to mention a land-registry document), the choice of literary polemics to execute this crucial discourse on the movement's future directions was an obvious one. Literature in Israel is the stage on which power struggles take shape, where opposing groupings within Zionism talk to each other, using the public arena as a testing ground for new tendencies. The Zionist right has never been short of literary proponents - from the poets Greenberg and Alterman, to novelists such as Agnon and Shamir. but amongst the voices of euphoric nationalism and neo-colonial jubiliation at the start of colonisation were voices of dissent and discord. After Achad Ha'am and his scruples, came Brenner who raised political and personal doubts about the direction of the Zionist project. These two were followed in the 1920s by a group of intellectuals led by Martin Buber, called Brith Shalom (Peace Pact). The group tried to set up a united front for peace in Palestine, but was less than successful in persuading substantial numbers of either Jews or Arabs to join. This was a period of gains for the Zionist right, with Jabotinsky, the leader of the Revisionist Zionist federation, attracting many young Zionists in Europe and Palestine. Jabotinsky, another Zionist writer-turned-politician, had been influenced by Mussolini during the early 1920s. Though he later disagreed bitterly with fascism and was one of its strongest opponents within Zionism, his organisation's youth movement resembled the Hitler Jugend and the armed motorcades of supporters clearly drew inspiration from the Stunn Abteilung in Germany. This accusation was continuously hurled at them by their opponents on the left flank of Zionism. It is interesting to note, in passing, that the concept of state power and its crucial role within the future Zionist state, was developed by Jabotinsky in the historical novel Samson. The fmal message his Samson sends back to the Israelites consists of two words: 'Iron' and 'King'. (These two they are told to strive for, at any cost, so that they can become the lords of Canaan). His is a cry for 'normalcy', in a world where the norm has become the rule of-naked power, racism and oppression. In this light, the liberation of the Jew is seen not as a freedom won from the socieyt of goyim but as freedom from the 'misguided' humanism preached and practiced by so many Jewish intellectuals in the diaspora. It is the rich tradition of Jewish radicalism, of the important role played by many Jews within the socialist and communist movements, which is being countered here. That tradition was the dominant voice of politicised Jews in East Europe before the holocaust, through organisations like the Bund, and various socialist and communist organisations. As a direct challenge to all they stand for, this tradition was, and still is, anathema to Zionist writers and has to be shown to be a futile and doomed stance, a miscalculation by the politically naive. The retreat from 19th century radical and liberal traditions to a prehistorical, mythical and glorious past, had been the hallmark of fascist tendencies elsewhere-supplying an ideological justification for demands to establish new empires and a battle cry for the masses to follow. It continues to supply ammunition and argumentation for the current generation of fascists and racists in Israel who are closer in their thinking, political style and lexicon to Jabotinsky than to the Labour Movement. Thus, the struggle for political control within Zionism in Palestine was not limited to brute force and armed provocation in the style developed in central Europe; like left-Zionism with its publication houses, the right enjoyed the full backing of the Revisionist publication machinery which included a journal called Diary of a Jewish Fascist, edited by another man ofletters, Aba Achimeir. In the context of fascist victories in Europe, this group of ultra-right extremists was indicative of the general direction taken by Zionists during this period. It was inconceivable for Brith Shalom to succeed in such an atmosphere dominated by nationalist and neo-colonial sentiments. The decline of left-of-centre ideas and influence during the 1930s in Palestine has resurfaced in the 1980s with the coming to power of the right-wing block, and the formation of even more extreme, fascist parliamentary and extra-parliamentary blocks and parties which enjoy popular support, particularly amongst the Jewish youth. A fuller account of the centrality and importance of literature and literary debate within mainstream Zionism during its formative period is available in Hebrew in publications too numerous to list here. THE RELATIONSHIP OF ZIONISM to wider trends is as true now as it was then. One has only to think of the rise of the right during the 1970s, although this may have been more dramatic in Israel than in some other societies. A look at the period of rising fascism in the 1920s in Europe, offers some important insights into the interdependence of similar political trends. This point is habitually denied by Zionists who prefer to describe themselves and their movement as totally unique. Comparisons of the colonisation process with any other, e.g. South Africa, enrages Zionist apologists who are adept at splitting methodological hairs like seasoned Talmudists. (While the differences between the two political situations are many and important, the failure to see the similarities is sheer blindness. It is no coincidence that both societies have grown closer to each other in many fields over the last decade). The reference to millions of human beings as 'human dust' cannot be conceived in isolation from the literary campaign by the Zionist right, politically and historically synchronised and related to the rise of European fascism. The ascendency of militant, empire-seeking nationalism has had a decisive dehumanizing effect on Zionism, through a complex system of links with the cultural centres around which this new growth has flourished. Not taking account of these links is tantamount to accepting the central Zionist myth of the uniquenes of Zionism, a movement not just denying the historical developments, but able to reverse some of them. THE DEBATE AROUND the central features of the Zionist utopia was held, from the start, between two unequal groupings. The first included those who, following Herzl's notions of the colonisation process in Palestine, and its links with and dependence on the empire of the day, set about achieving their goals in the shortest possible period. Despite important differences between right and left-wing Zionism about priorities and methods, both wings of mainstream Zionism form part of this first grouping and were in accord over the main tenets of political Zionism. The second grouping was a motley crew - liberals, socialists, communists who found their way to Palestine as a result of European anti-semitism rather than as a result of ardent Zionism. This was not a tendency struggle between the dominant and an alternative - the alternative had by definition to exist outside Zionism and to offer not just an opposition to it but an alternative programme altogether. Such a group did not exist within the Jewish community in Palestine, at least not a group with any real cultural and political influence. Hence the debate was held between dominant, aggressive forms of Zionism and critics of such a tendency who, rather than disassociating themselves from it and fighting it outright, were reformers and not radicals or revolutionaries. Such criticism may be called 'cosmetic' as it is a disagreement about ways and means, not about goals. 'Where the followers of the trendy school of thought are talking about "territories", the Greater Israel Movement is saying quite openly"Eretz Israel". Where some smart Alecs are preaching: let's try to grab as much as the Goyish nations will allow, the Greater Israel people are saying: All is ours, the whole country and it should not be redivided. Where the nod and wink rule and where everyone uses synonyms in order to cover up, they are saying: colonize, Judaize, inherit. To fully appreciate those words, it may be useful to transpose them to other political realities. Would similar expressions be possible from a liberal or left -wing activist to describe links and connections to a tradition held in common with the extreme right? Brecht speaking about Nazism? Gramsci speaking about Fascism? Jackson eulogising about the Ku Klux Klan? A unique situation, indeed, for anyone purporting to be active on the left. But in the case of Oz and others like him in left-Zionist groups from the Labour party to Peace Now, sentiments connecting them to the extreme Jewish right are apparently firmer than any positive leanings they may have towards Palestinians, even those on the left of the political spectrum. This sense of belonging not to an internationalist left movement, but to a tradition created by reactionary forces and now dominated by the extreme right, may explain the images of Palestine and Palestinians they create. This innate racism is why the struggle of 'cosmetic reformers' of Zionism, while being the more sympathetic and acceptable aspect of a repressive system, can offer neither a real alternative nor an enduring resistance to the dominant. The vacillation of this tendency on central issues, like the selfdetermination of the Palestinians or the colonial nature of the Zionist enterprise, limits their actions and proclamations to a corrective type, a rearguard cultural guerrilla activity. Such a position, by supplying a more acceptable and palatable face for both internal and external consumption, serves as an effective apologist for the excesses of Zionism. It also highlights the extent of the crisis in which Zionism has found itself 20 years after the 'miracle' of 1967. The continued support of most such writers for Zionism seems to emerge not from a determined decision based on an evaluation of existing options, but rather a disregard for any political choices that might require a rethinking of communal and national identity. Such dissent as they voice arises out of a disenchantment with what their society has become, not from a political analysis. Concern for the lost dream of Zionist utopia, to find out 'where it all went wrong' , assumes a pure and innocent dream that somehow became tainted. This romanticism has fired many Zionists whose need to see Palestine fllled with Jews has made them blind to the existence of another nation there prior to their arrival. It is not the dream which is to blame, they argue, but only its realisation which did not measure up to the promised paradise. But the dream did not become tainted at all; rather, it had in it a fatal flaw, built into the very fibre of its being - the denial of the other. This denial operates on all levels - the ideological negation of a Palestinian people underlines and justifies the very material forms of denial developed by Israeli society. 'When we occupy the land, we shall bring immediate benefits to the state that receives us. We must expropriate gently the private property on the estates assigned to us. We shall try to spirit the pennyless population across the border by procuring employment for it in the transit countries, while denying it any employment in our own country. The property-owners will come to our side. Both the process of expropriation and the removal of the poor must be carried out discreetly and circumspectly. Let the owners of immovable property believe that they are cheating us, selling us things for more than they are worth. That such thoughts were carefully edited and sanitised from published works and speeches, points to a systematic denial and rewriting of history, a reworking of the Zionist self. Herzl himself was meticulous in removing references to the indigenous population from his published material. Indeed, the silence on this point rings loudly in his other books. This effort still continues and signifies a censoring of political consciousness, forcing underground any evidence of embarrassing traits of Zionism during its formative years. The solutions outlined above were necessary not because of shortage of space in Palestine, but because of a more crucial factor-the imagined nature and identity of the J ewish/Israeli self in Palestine. Thus, while it is possible for left-Zionist writers to be critical of Zionism in practice, it seems more difficult, almost impossible, to question the theoretical and ideological basis of the whole enterprise. Criticising a mode of practice does not necessarily invalidate the theory behind it; finding basic faults with the theory invalidates the whole enterprise. Other reasons for the infertile nature of the 'cosmetic alternative' concern the material and methods central to writers of that tendency, such as Yehoshua, Oz, Kenan, Kaniuk, Shabtai and Grossman, who use dreams and nightmares - namely, myth, fantasy and poetic liaison - to build their argument. As this is central to the analysis presented here, it will be dealt with in the section 'The Devil's Dark Fire'. One does not have to agree with Herzl's peculiar reading of Jewish history in order to appreciate the point. The Ghetto Jew had to be expunged - this was agreed grounds between right and left Zionism from very early on. But what would replace it, what kind of 'New Jew' had to be constructed? The 'New Jew' was not to be constructed in the abstract but would be forged on the battleground of Arab Palestine, a country yet to be wrenched away from the adversary, the indigenous Palestinian population. Hence, another negative determinant was added to the synthetic brew - that of the Arab, specifically the Palestinian Arab, as the 'other'. Between these two polarities of 'otherness' a space was made for the new identity. As pointed out by Childers12, Said13 and others, this traditional racist stance and function has a long history. The Arab as other has contributed to the identity forging of a number of European nations. The new identity had to be European-based. It is clear from Herzl's diaries14 that a new nation in the Middle East was to be a synthesis of the gaiety of Paris and Vienna, the efficiency of London and the military might of Berlin. The descriptions are too numerous to quote here. The symbols chosen for the Zionist nation serve to make this point clearer. All were imported from other cultures15 and appropriated as 'Israeli': the music of the national anthem came from the Czech nationalist musician, Smetana; most of the music used for nationalist songs came from Russian folk-songs; the term for a Palestinian-born Jew is the Arabic word Sabar, Hebraicised as Sabra, the native prickly pear grown as a hedge by Palestinian villagers. Different rationales were found to justify this project of producing a nation willy-nilly, with the help of science, technology and, not least, propaganda. Thus the Zionist project was originally conceived less as a national liberation movement within the context of the rise of European nationalism, and more as the manufacturing of a nation from the cultural stock of spare-parts of mainly central-European Jewry. This would be achieved by colonizing Palestine, a Third World country of great interest to Europeans. The European nations that were to be counted on for support, and which have duly obliged, were to be lured by an image of a new nation that reflected their own biases. The 'New Jew' was to be created in the image of the model of European neo-colonialism. In this context, the role of the Palestinians in the brew was that of local spice, the proof of belonging to the sun-scorched plains of the Middle East, like the sabra plant. Certain aspects of Israeli architecture reveal such a tendency to take over local cultural elements and motifs which are then adapted to suit the coloniser. The arch, dome and enclosed courtyard are all elements of Palestinian Arab architecture, although their true origin is sanitised by being referred to as 'regional' or 'Middle-Eastern'. Thus the very existence, history and creativity of the victim supplies ammunition to the oppressor and Zionism can argue that, despite the mainly European components of its identity, there are sufficient 'regional' and 'Middle-Eastern' features to make it a true inhabitant of the khamsin-swept plains of Palestine. This obsession with synthesizing a nation at all costs and in a short period of time, may be the underlining reason for the centrality of literature within the Zionist project. Much literary effort is devoted to debating aspects of Jewish, Israeli and Zionist identity. How else could that identity be defined and examined? At this point, it might be useful to examine the viewpoint of the literary proponents of left-Zionism to establish the similarities and differences from the official line, and most importantly, their positions, hopes, aspirations and fears. His analysis of Dayan 's linguistic devices is indeed fascinating but even more fascinating is Oz's perception of his own role, mandate and realm of operation. What he allows himself, he denies the politician, in a country where politics is so deeply affected by millennia-old texts, legends and mythical/political ghosts! Is this division of labour between the 'cool pilot' and the 'tribal witchdoctor' anything but wishful thinking? 'Yes, I know: We had no alternative. Our backs to the wall. To die-or take the mount. A new country and a new leaf. I know; I only try to explain, maybe to apologise, to tell you why it is so difficult here to create a narrative with some depth and which is, like all good stories, a tale of witchcraft, of raising devils and ghosts from their rest. The self-pity of the powerful, of those 'forced' against their will into despicable situations, has an extremely hollow ring. Nonetheless, this specific ghost of 'There Is No Alternative' needs a witchdoctor to raise it from uneasy rest; and who better than Oz, with his gentle irony? To say this is not to denigrate the sincere efforts of Oz and others on the Zionist left, on behalf of the Palestinians and against the atrocities carried out by the state in their name. These efforts, however, amount to little more than an ameliorating factor in Israeli politics and cultural discourse unless the root cause of the problem is tackled. There is little doubt that Oz, and a number of other Israeli writers, is emminently suited to the task of facing up to the heritage of Zionism and its harvest of doom. Were they equal to the task, they would have a captive audience in Israeli progressive circles. This inability to face the past and present in order to guarantee a humane future, is a result of failing to systematically analyse Zionism and its characteristics. By accepting ideological claims and rejecting empirical evidence, these writers. seem to be trapped in a cultural neurosis. The process of socio-analysis has not yet started; the patient is still dominated by the super-ego and in disavowing the nature of the political id, thereby denies the subconscious elements of colonialism. Here we may turn our attention to the problem plaguing Oz's argument at a deeper level. If one accepts his above description of the synthesizing process and its artificiality, with what is one left? What constitutes for him the 'real' human experience? Where are his ghosts hidden? In which area of the Israeli experience are the devils buried, the black fires waiting to be rekindled? It is no surprise that the devils and ghosts reside within the most concrete Israel experience-that offlghting, killing and dying, the daily soiree with death he so graphically points to when discussing Dayan. In other words, the great synthesizers have failed in their efforts to put the nation together, Frankenstein-fashion, from the dead bits of the past. Like Mary Shelley's count, what they needed was some higher form of energy to fuse it all. And they found this higher form of energy in a continuous and unending ritual, holy war. This is not a conspiracy; the state of war is there for very real, material reasons. But it serves as a socio-political binding agent more efflcient than the cultural efforts described above. Oz's people, his nation in the making, were not put together by cultural efforts. The nation became what it is because of the one real experience that binds it - the tribal camaraderie of warriors. This happened because of politics and not despite it. Indeed, a witchdoctor comes in handy in the context of battle and death, of a war without respite to the bitter end. While Oz is quick to criticise this type of 'analysis' when used by others, he falls into the same trap himself. Thus the dominant organisation in the PLO is a creation of the 'maddest extremists' and the massacre in Munich achieves the proportions of a potential Armageddon. Like the racist meeting a Jew and seeing not a human being but a representative of the plots and machinations of World Jewry, so Oz rejects all evidence of senses and logic, even evidence he himself has provided, in favour of the 'Elders of Palestine' plot. Obviously, the Al-Fajr offices with their shabby desks are a mere camouflage, a front for the powers of darkness of the conglomerate Palestinians/Soviets/Third World/New Left/Old Right/Humanists. How impressive! This brings us back to the starting point: while writers like Oz are critical of some government policies vis-à-vis the Palestinians on humanistic grounds, most of them accept the official version of the history of the conflict. Behind such lines is hidden not just simple racism, but a more far-reaching distortion of perceived realities. In Israel, a term has been coined for this popular abberation of experience - ha'olam kula negdenu or 'the whole world is against us'. This 'common-sense' notion, popularised by ministers and media, is more surprising when detected in the higher echelons of left-Zionist culture; but there it is, unmistakably. The description of the enemy above, hiding behind the shabby desks of Al-Fajr and waiting to pounce on poor little Zionism, is as sad as it is ridiculous. Notably absent 'friends' are the West and assorted military dictatorships of a sympathetic nature, such as Chile and South Africa. It would be wrong to reject Oz's notions as being particular or specific to him. Many left-Zionist writers express similar views, but a difference may be drawn between those who look at Palestinians as the 'other' , and writers who venture into the minefield of trying to talk to and understand the 'other'. While Oz, Yehoshua and others, belong to the first category, some of the new generation of writers belong to the second, more risky, variety. Two such writers are Sammy Michael and David Grossman, who try to understand and describe the Palestinian position as a valid one, even using it as the basis for their critique of Israeli society. In his recent novel, Michael chose a young Palestinian woman, Houda, as his protagonist; the narrative tells of her love for a Russian Jew, a new immigrant called Alex. The description of Houda's family and their tribulations is sensitive if not politically inspiring. A window is opened for the Hebrew reader, through which the Palestinian is seen as a person with history, memories, wishes, fears and hopes. This is not the 'Arab' in Yehoshua's writing, an anaemic and passive figment of the Israeli imagination, a servile creature. The people described by Michael are full human beings; this is quite understandable-Michael, an Iraqi Jew, was active in the communist underground movement in Iraq before fleeing the country. He speaks Arabic, knows and respects the culture and history of the Arab peoples; this gives his characters an authentic touch, a degree of intimacy unusual in Hebrew literature when dealing with the Palestinian man or woman. Indeed, in his novel it is the Israeli and not the Palestinian who plays the role of 'other' . 'She looked at him in astonishment, whispering to me, "What's this? Can he read Hebrew or is he just pretending?" This proficiency of Palestinians in Hebrew poetry, at the same time lacking any knowledge or interest in Arab poetry and culture, says more about the writers than any real character they may try to describe. The attitude is one of the 'dog-playing-piano' description; a full analysis of this peculiar trait of modern Hebrew writing about the Palestinians, is beyond the scope of this article but is defInitely necessary. The choice of adjectives, the elevated, almost poetic prose, is unusual in this book of harsh sentiments; it reminds one of the analogy made by Oz and quoted above - the two different branches belonging to the same tree. One thing becomes clear from the description of Ofra's people - Grossman considers them as equals even when disagreeing with them. He feels close to their milieu, he identiftes with many of their signs and signifiers. The last sentence reveals his surprise - surprise not so much with the place and its atmosphere, but because it is located where it isidentifying sameness in the heart of otherness or Jewish candlelight in the heart of darkness. . . The same cannot be said about Grossman's relationship to the Palestinians he meets. He may (and does) sympathise with them, feel their pain and anger which he conveys effIciently; nonetheless, they are forever others, foreign, different and remote. Hence it can be seen that even for 'progressive' Hebrew writers, the Arab and specifically, the Palestinian, connotes not only 'otherness', but represents that entity of otherness particular to Judaism, that of the goy. This may be one of the reasons why the term 'Arab' replaces 'Palestinian' both in daily speech and in literature. The particularity of 'Palestinian' makes it difficult to read it as the total 'other', a role fllled very well by 'Arab', a word relating to hundreds of millions in the region. The writers of this left tendency seem to see the Palestinian as a subject, a victim, one being subjected to the Israei rule and will, a subject devoid of autonomy. It may be that the Palestinian for them serves at the outline to what they see as their own identity, autonomy, independence and power. To see and describe the Palestinian as a free agent, a person of complexity, coherence, internal contradictions, options for action from which to choose and a historical context in which to operate - that still remains to be done by some future Hebrew writer. In this connection, it would be unjust not to mention a few notable exceptions. The most obvious one is a recent Hebrew novel by a Palestinian writer, Anton Shammas30, in which exactly the task outlined above is undertaken, with great power, intellectual and political integrity and important artistic/aesthetic achievements. It is less than surprising that it takes a Palestinian like Shammas to do that - the more surprising aspect is his choice of Hebrew as the vehicle for his discourse-a complicated political and cultural choice directed at the Israeli public. Thus, Shammas manages to problematise the issue of identity for the Hebrew reader, as the Israelis described in his book are not just 'others', the Palestinians not just subjects or victims. As I have dealt with this novel at some length in a recent article, it may be inappropriate to repeat here arguments made elsewhere. 'My future is no longer in my hands. I am detained here, in Nazareth, until the trial that will take place in six months. I expect to be imprisoned; they say, at least a couple of years. After that, I obviously will not be able to continue my scientific work, the only career I can consider. It so turned out, that in my homeland there is no place for me. The only chance I may get is a permit, after some time has passed, to leave and settle abroad. It is not an ideal solution, but there is no other way. Hence, when inspecting the normative features of the Palestinian stereotype in Hebrew literature, exceptions aside, one finds totally contradictory elements. The Palestinian is seen as a mixture of similarity and difference, a conditioning presence for the Zionist onlooker. Could those dualities of 'murderer' and 'extremist' on the one hand, and a poor journalist with a shabby desk on the other, connote anything but a negative relief, outlining Israeli identity for Oz and his ilk? The Israeli is someone who is not extreme, not a murderer, someone who does not reside in a shabby office where the paint peels off the walls. Once we start analysing these images of the Palestinian from his perspective, an interesting function of Zionist literature is revealed. How clear are those writers about their own identity? Can they define it without the use of the Palestinian as background, as contrast? Are they aware that they are using this particular other in contradictory roles - as the all-powerful goy from the diaspora and as the stereotypical colonial native? These questions are of central importance in trying to determine the potential of future developments. If, as seems to be the case, the main fountainhead of Zionist identity is the difference it marks from the Palestinian Arab, if the conflict seems to supply the main reservoir of meaning for Israeli existence, then how is it possible even to dream about coexistence? As long as identity is read as the racist distance from 'otherness', no political settlement can either take place or have any serious chance of success, as it would by definition mean the loss of hard-earned identity. The next section deals with the forces contending for the last word on Zionist identity. A CRISIS OF IDENTITY is not new in Israel, yet the current one is quantitatively different from any other. In a country that refused for years to play football in the Asian League, claiming itself part of Europe, the concept is loaded with the most powerful political explosive. This debate within Zionism is as old as the movement itself. In it a number of models compete for dominance. The basic one has been developed by Herzl himself-one could call it the 'colonial dependency' model. While Herzl fancied himself as a Jewish emperor with a court filled with the new nobility35, in his actions he was much more realistic. While this description sounds like a caricature, it is not only an accurate description of Herzl's strategy but of an influential and dominant trend within recent Zionism. The shift of allegiances from Britain to France, then to the USA, followed the global power shifts in the Middle East, and resembles Herzl trotting from Bismarck to Abdul Hamid, to Plehve, then back to the Kaiser again. Behind the niceties of rationale is hidden a simple formula - Zionism is only able to control Palestine under the aegis of an imperial/neo-colonial power; it will support and seek the support of the dominant power, according to changing situations. Though many Zionists have criticised Herzl for holding this position, some notable critics did not hesitate to apply the very same policy. But such a policy is problematic, even when it yields the hoped-for results. Being the agents of a foreign power raises certain problems not only with the indigenous population, but with the colon itself. It is likely to hit the population exactly where it hurts - its identity. Hence, though the political model of action has been accepted and applied by Zionism, it fell short on the need to supply a coherent identity structure. If for Herzl, in his naivete, identity is seen as unproblematic, not so for the writers of 'utopian autonomy' . What will be the materials from which this Jewishness is to be built? Whose Jewishness will win? When it comes to Jewishness, there are, of course, other contenders for the identity project - the clergy. It may be true to say that there were two elements affecting the lack of development in Judaism throughout the centuries - the Jewish religious establishment and anti-semitism. Between them, these two have managed to contain Europe's Jewry as an (almost) unchanging entity. With the clergy as an undeniable partner to the forging of this new identity, the atheistic tendency within Zionism lost the battle even before it started. 'Who is a Jew?' is a query that could not arise in a similar form in most other countries but only in theocratic states in the region. Yet, this question has been central to Zionist debates for decades, obscuring in its fervour the real issues of importance linking Israelis and Palestinians. As Israel is actually called 'a Jewish state' in its declaration of independence, it is hardly surprising that this concept will give rise to ferocious arguments. Bearing in mind the extremely varied ethnic, cultural and linguistic myriad thrown into the Zionist 'melting pot', there were obvious struggles for the right to establish this or that version of Judaism as the official one. And is there no point in trying to compromise? 'Wondrous are the ways of the Lord. Slowly but surely those who oppose us will understand their errors. Western culture is not for us, even though there is a lot we should adopt from it. The only path for the people of Israel is the path of the bible. . .
From this cursory description, it can be seen that the conceptual location of left-Zionist writers, somewhere between neo-colonials and Jewish Ayatollas, is not an enviable one-to criticise and be criticised but without being able to offer a fresh and alternative identity. The complexity of their offering, a product of the enlightenment, is difficult to market in contemporary Israeli society. None of the tendencies described ever rules without opposition. The development is movement from one specific mix of these tendencies towards another, due to a complex tendency struggle. Needless to say, a large degree of super-imposition exists between the tendencies. Thus, the recent move towads a stronger position enjoyed by the religious rightwing has not reduced dependency on the USA, for example. '. . . there are now places in the Negev, in Lachish, all sorts of places, there are new immigrants' settlements. That is where you should have gone. There you can start to live a healthy, new life, not the way you lived abroad"
'"It all goes wrong here," said Alon, "everything we had in this country. What a great people lived here before. And the things they did. Now it is all reversing. Soon nothing will remain of it. Even our Hebrew will not survive. In a few years children will not understand the Hebrew ofthe Bible. People will not be able to read Alterman and Yizhar. They will speak a new, ugly language. And the Arabs are already preparing for the next round; huge arsenals are hoarded. Who is going to stand up and be counted? The underworld? All that was built, all the blood shed here, the suffering and the diseases and the hunger, so that a new people can be built, a new land, all this for nothing? This madness, egoism and the underworld will pulverise it all? Why are the Arabs collecting all these arms? Their work will be done by these. . . This struggle is only starting, the struggle between the colonising fathers and their labour imported exactly because the indigenous population could not, at the time, be used for this purpose-it had to be expelled and dispossessed, unhinged off the land. That the imported labour consisted of people from the Arab countries is a bitter twist of irony in Zionist history. That meant their' Arabness' had to be expunged, they had to be cleansed of it, to be 'Israelised' (or really, Europeanised). In order to fit into the dream they had to change their identity, lose their culture, their language and oral traditions-their history47. History is written by the winners. . . The crisis hastened and sharpened by the intifada in the West Bank and Gaza is now well established. I call it a mid-life crisis because it is at the point of maximum strength that the long decline starts. It is at that point that the empire feels strong enough to both openly repress its adversaries and look at their situation for the 'first time', with the naiveté of the powerful. It is the time of checking oneself in the mirror of the other, a time for doubts, cracks and fissures to appear. It is the beginning ofthe end. '"You, listen to me here!" said Moishe and his eyes searched for mine, "to Khirbet whatsitsname, will come the new immigrants, you hear, they will take this land and till it, it will be great!" of course and what? This is it! How come I did not foresee this. Our Khirbet Khizeh. Problems of accommodation and establishment on the ground! And we will accommodate and establish, Hurrah, Hurrah: a cooperative shop will be opened, a kindergarten and school, maybe even a synagogue. And there will be political parties. A lot of debates, discussions about everything, they will plough the fields and sow and reap and grow big. Hurrah to Hebrew Khizeh! Who would ever believe, realise that there once was here some Khirbet Khizeh, one we expelled and inherited. We came, shot, burnt, blew up, pushed off and displaced and expelled them to their diaspora. What current writer in Israel can equal the frankness expressed in S. Yizhar's lines, shocking after all these years, because their message is still not heeded? The comparison to Yizhar seems to suggest that in the battle between his Judaism and humanism, humanism always won. Not a claim that can be made by the current generation of Zionist apologists, who use humanism as a cultural figleaf to obscure their Zionist pudenda. 'Ze'evi brushes off such accusations angrily. Removing Arabs from Eretz-Yisrael (greater Israel), he argues, is part of the ideological basis of Zionism. He opposes forced explusions, but believes instead in creating what he calls a "negative magnet" that will induce Palestinians to pack their bags and leave. "If the transfer idea is immoral," Ze'evi said recently, "then Zionism itself is immoral. All the settlement that has been carried out in the last 100 years was based on the transfer of Arabs." . . . Hence, the right is stating quite openly that because of national identity, it will be necessary to rid the country of its indigenous population. In comparison with such positivist clarity, the left-Zionist arguments seem weak and disorganised, more hypocritical than Ze'evi's openness. The failure of left -Zionist writers is one of not noting their own position, of accepting their vantage point as transparent and constant. Though they disagree with the oppression in many cases, the only Palestinian they see and describe is the oppressed Palestinian, the subject dependent and lacking autonomy of action, passive. The most that is offered by the new generation and its writers is a painful recognition that the Palestinian refuses to satisfy the Zionist dream and dematerialise. In these circumstances, they agree to talk, to negotiate, even to argue on-behalf-of, charity-fashion. What they are not prepared for, at least not yet, is to drop the mask of otherness and exchange their coloniser-oppressor identity - a total transformation of the self. This metamorphosis, without which no real change is possible-is continuously and emphatically denied. Life side-by-side, maybe; human and national rights, maybe; togetherness, solidarity, brotherhood-No!. 1. When using terms like 'left-Zionism' or 'right-wing Zionism' one should always be aware that these carry different meanings to the ones we assume in Europe. As Zionism is based, in the main, on the need to expunge class struggle within it, to form a unity which is supposedly beyond class barriers, the terms 'left' and 'right' are approximations of 'liberal' or 'humanist' on the one hand, and 'conservative' on the other. These terms do not apply to social divisions within Israeli society but rather to the different modes of looking at the Palestinian entity. Hence, it is usual to fmd extreme right tendencies within the Labour Alliance. Conversely, the right-wing party Herut has been reacting to (and exploiting) the anger of the majority of Oriental Jews directed against their oppression by successive Labour (left-Zionist) governments. It will be important to note the different groups who support both blocs: the left was traditionally supported by the main beneficiaries of its policies, the kibbutz movement and sectors of the skilled working class and the middle class. Begin and his party have traditionally scored very well in the oriental Jewish community, made of farmers, the petty-bourgeoisie and blue-collar workers. 2. Oz, Amos; Po Vasham Be'Eretz Israel, Tel Aviv, 1977, Published in English as In the Land of Israel, Fontana, London, 1983. Quotes are from the English edition. 3. Weizmann, Chaim; in 'Dr Weizmann's Political Address-20th Zionist Congress', quoted in New Judea, London August 1937, p.215. 4. Oz, Amos: Be'or Hatcheleth He'aza ('Under This Blazing Light'), Tel Aviv, 1977; All quotes translated by H.B. 6. Weitz, R; in Davar, Hebrew newspaper, Sept. 29Th, 1967. 7. Herzl, Theodor; The Complete Diaries of Theodor Herzl, The Herzl Press and Thomas Yoseloff, London, 1960, p.88. 8. Ibid, p.98. I found it necessary to quote at length here, as these paragraphs from the Herzl diaries are themselves an example of suppression and denial. These same ideas about the indigenous population are totally missing from the published works. One may be forgiven for wondering whether this central quote was excluded because of its 'feeble interest for the general reader'. (From - Lowenthal, Marvin; in a prefatory note to Herzl, Theodor; The Diaries, The Dial Press, New York 1956, page vi). 9. Oz, Amos; Ibid, p.24. 10. Herzl, Theodor; Der Judenstaat ('The Jewish State'), Leipzig und Wien, 1896, p.13. All quotes translated by H.B. 12. Childers, Erskine; Common Sense About the Arab World, London, 1956. 13. Said, Edward; Orientalism, Routledge and Kegan Paul, London, 1978. 14. Herzl, Theodor; The Complete Diaries of Theodor Herzl, The Herzl Press and Thomas Yoseloff, London, 1960. This edition is far preferable, as it includes many allusions edited elsewhere. 15. In pointing this out, I am indebted to Dr M. Machover, who fIrst drew my attention to this form of synthesizing within Zionist history. 18. Calderon, Nissim; Be'heksher Politi ('In a political context'), Tel Aviv, 1980. 19. Oz, Amos; Mi'mordoth Halvanon ('The Slopes of Lebanon'), Am Oved, Tel Aviv, 1987, pp.83-86. See his reaction to the accusations by the left, after he signed an open letter, together with three other writers, calling for a national unity government, including the Labour Party and the Likud. 20. Oz, Amos; Be'or Hatcheleth He'aza, p.24. 21. Oz, Amos; In the Land of Israel, Flamingo, London 1983; p.157. 24. Michael, Sammy; Khatsotsra Ba'Wadi ('A Trumpet in the Wadi'); Am Oved, Tel Aviv 1987, p.56. Quote translated by H.B. 25. Yehoshua, Avraham Buli; The Lover, Doubleday, New York 1978. 27. Grossman, David; Khi'yuch Ha'gdi ('The Goat's Smile'); Tel Aviv, 1986. 28. Grossman, David; Hazman Hatsahov ('Yellow Wind'); Tel Aviv, 1987. Quote translated by H.B. 30. Shammas, Anton; Arabesquoth ('Arabesques'); Tel Aviv, 1986. 31. Alon, Hemda; Zar Lo Yavoh ('No Trespassing'); Hakibbutz Hameuchad, Tel Aviv, 1967; All quotes translated by H.B. 34. Oz, Amos; Ibid p.128. 35. Herzl, Theodor; Ibid p.132. 37. Herzl, Theodor, Der Judenstaat, p.29. 38. Oz, Amos; Ibid p.138. 42. Kenaz, Yehoshua; Hitganvuth Yekhidim ('Heart Murmur'); Am Oved, Tel Aviv 1986; Quotes translated by H.B. 46. Oz, Amos; Ibid, p.34. 47. There are, of course, a few other important sub-tendencies dealing with the issue of identity in Israel - I have tried to outline only the main, influential ones. One should mention here the Canaanites, a group of Israeli intellectuals in the 50s and 60s, who tried to invent an Israeli nationality based on pre-Jewish civilisations in Palestine. They described themselves as 'pagan' and opposed religious oppression. This approach is interesting, inasmuch as it tries to deny many millenia of history by making it irrelevant, by annuling its results. The group always remained small and obscure, a kind of literary club. 48. Yizhar, Smilanski; Shiv'ah Sipurim ('Seven stories'); Tel Aviv 1971; Quote translated by H.B. 50. Black, Ian; in the Guardian, 6th September 1988, London.